India’s Polar Satellite Launch Vehicle is scheduled to fire into orbit early Wednesday with 104 satellites on-board, setting a record for the largest flock of spacecraft ever launched on a single rocket. Most of the payloads cocooned inside the PSLV’s nose shroud are as small as a toaster oven, set to join commercial fleets tasked with daily imaging of the Earth and the collection of weather data to improve forecast models. The 145-foot-tall (44-meter), four-stage PSLV is set for liftoff at 0358 GMT Wednesday (10:58 p.m. EST Tuesday) from the Satish Dhawan Space Center, India’s launch base on the coast of the Bay of Bengal. 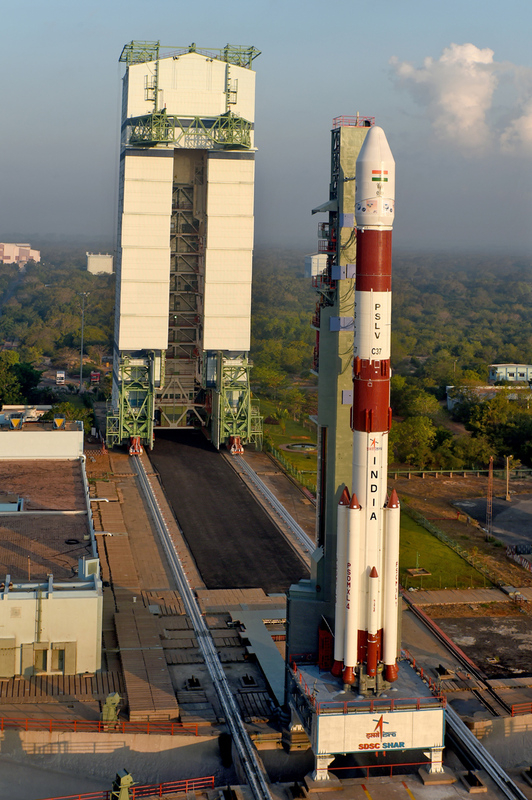 The launch is scheduled for 9:28 a.m. local time in India. 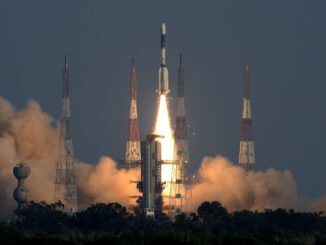 The prime passenger aboard the rocket is the Indian Space Research Organization’s Cartosat 2D environmental satellite, a 1,574-pound (714-kilogram) observatory to help analysts update maps, plan urban and rural infrastructure, monitor coastlines and track water usage. Deployment pods mounted on the PSLV’s upper stage also hold 96 CubeSats made by Planet and Spire Global, two San Francisco companies adding to commercial satellite constellations. Planet’s 88 spacecraft awaiting blastoff will nearly double the number of satellites the company has launched since its founding in 2010. The majority of Planet’s orbiting camera platforms have been ejected from the International Space Station in orbits that do not fly over the entire globe, while the satellites going up from India will launch into polar orbit, enabling worldwide coverage. Planet’s satellites do not have the high resolution of larger, more expensive Earth observatories — like those owned and operated by DigitalGlobe — but their large numbers allow customers to refresh views of a specific location on the ground more often. The launch of 88 Dove satellites comes less than two weeks after Planet announced the acquisition of Terra Bella from Google, which has a constellation of seven higher-resolution spacecraft capable of recording high-definition video during passes over ground targets. 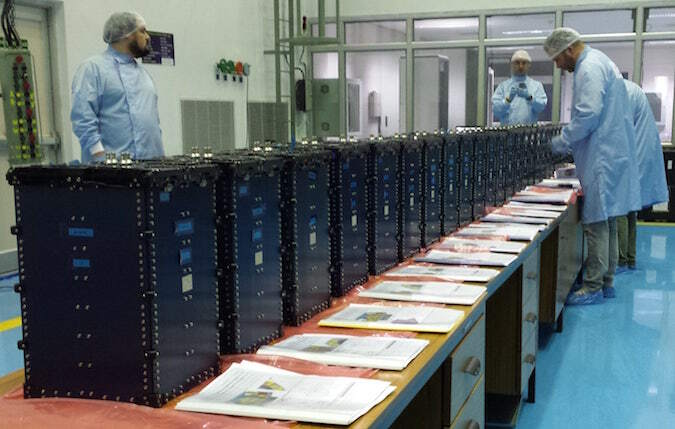 Eight 10.1-pound (4.6-kilogram) Lemur satellites owned by Spire Global are also set for launch Wednesday. The shoebox-sized craft carry GPS radio occultation antennas, using satellite navigation signals passed through Earth’s atmosphere to derive temperature and humidity profiles that can be fed into numerical forecast models. Spire’s satellites also track ships out of range of terrestrial receivers. The company has launched a total of 21 CubeSats, some of which have ended their missions. 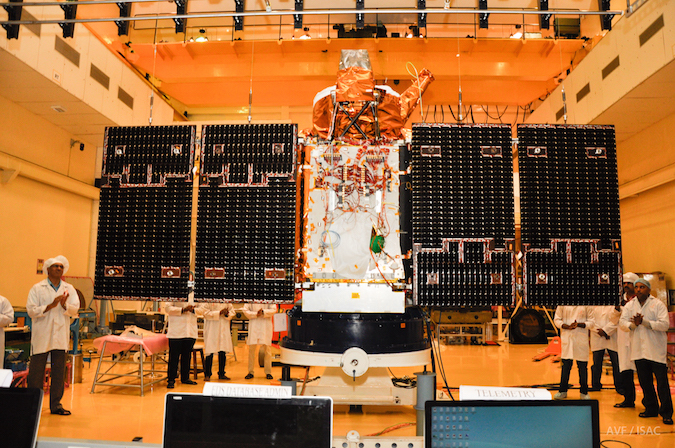 Seattle-based Spaceflight Services booked the Spire satellites aboard India’s PSLV mission, along with an Israeli CubeSat named BGUSat developed by Israel Aerospace Industries and Ben Gurion University. BGUSat, conceived as an educational research project, will take pictures of clouds from space and measure atmospheric background radiation. The other international payloads stowed for Wednesday’s launch are four CubeSats for institutes and companies in the Netherlands, Switzerland, the United Arab Emirates and Kazakhstan. The Piezo Electric Assisted Smart Satellite Structure, or PEASSS, project will validate a new class of composite structures and power systems for future space missions. 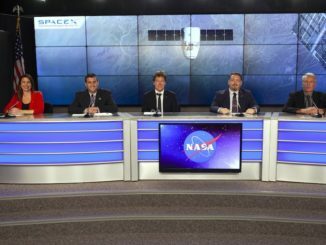 Backed by European Union research and development funding, the PEASS mission will help “develop, manufacture, test and qualify ‘smart structures’ which combine composite panels, piezoelectric materials, and next-generation sensors, for autonomously improved pointing accuracy and power generation in space,” officials wrote on the mission website. “Smart structures will enable fine angle control, thermal and vibration compensation, improving all types of future Earth observations, such as environmental and planetary mapping, border and regional imaging,” according to mission officials. The 6.6-pound (3-kilogram) PEASSS spacecraft was developed by a consortium of Dutch companies and scientific institutes. The Swiss-headquartered company SpacePharma is launching its first satellite Wednesday. Named DIDO 2, the 9.3-pound (4.2-kilogram) CubeSat is the first in a line of small spacecraft SpacePharma hopes to send into orbit hosting miniature microgravity research experiments. 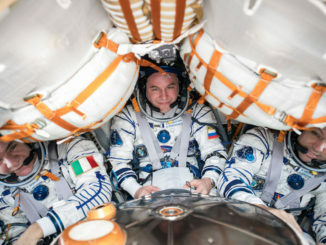 The student-built Al-Farabi 1 and Nayif 1 CubeSats from Kazakhstan and the United Arab Emirates, respectively, are also heading to space on the Polar Satellite Launch Vehicle. Al-Farabi 1 will test out a communications system, and Nayif 1 carries an amateur radio transponder. 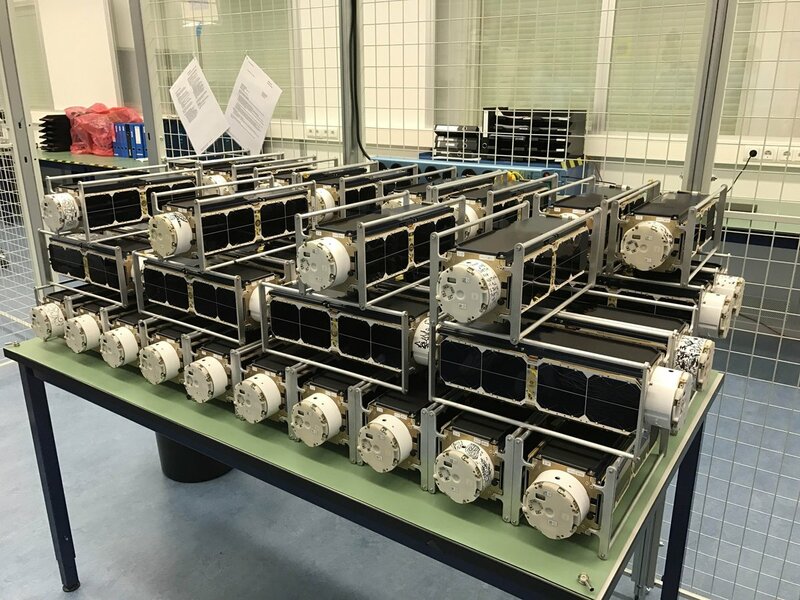 The 101 international CubeSats are stored inside 25 “QuadPacks” built by Innovative Solutions in Space, a Dutch firm specializing in arranging rideshare launches for small satellites. Two Indian nanosatellites, named INS 1A and 1B, round out the 104 spacecraft awaiting blastoff. INS 1A and 1B, each weighing about 20 pounds (9 kilograms), will demonstrate a new type of camera and gather measurements of Earth’s atmosphere and the space environment.